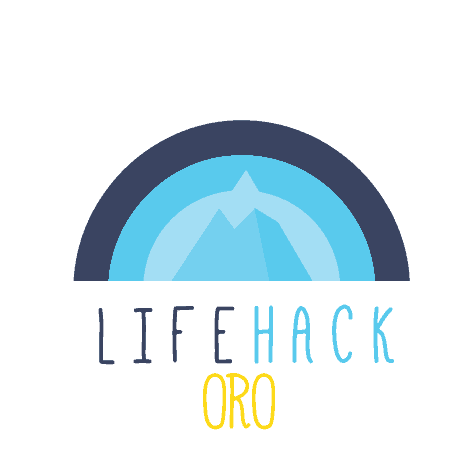 Lifehack has been experimenting with different programme shapes and intensities since early in 2014. This has resulted in us running online courses, part-time and full-time programmes. It’s been two-day weekend events or programmes so long people needed to put the rest of their lives on hold to fully participate. Over time, both anecdotes and data tell us that our programmes have become more meaningful—whether it’s people realising the size of their own potential and acting on it for more meaningful personal life, or starting evidence-backed ventures that contribute to youth wellbeing. It feels as though we’re becoming better at hosting cross-disciplinary spaces allowing participants to find their own way, ask questions and commit to putting their energy and resources behind something they deeply care about. Much of this relevant feedback comes from the generosity of those who we work alongside. For example, the input generated on the design day we hosted helped us work out how to integrate elements of te ao Māori into our work. That said, most of our feedback comes from doing and testing programmes out in the community—and reflecting back on what we’ve learnt and observed as a team, alongside evaluating the input from our participants. The importance of whakawhanaungatanga (te reo Māori for becoming like family): In every initiative we run, we’ll leave enough space for building trust amongst a group, whether they know each other or not. This may take the form of a check-in circle, games, storytelling, collective inquiry, ako (teaching and learning in te reo Māori; an opportunity for every participant to teach the rest of the cohort on something they know about) etc. Whilst it may not ‘look’ like work to the traditional organisations of this work, we have learnt that as long as we invest enough in whanaungatanga, the work of co-creating initiatives becomes easier. In practical terms, this means spending at least a fifth of the time of a programme on getting to know each other, whether the initiative is five weeks long, or twelve days or two days. A tool we have used to support the above is Ngā Uri Ō. Please click the button below to be linked to this resource. The strength of part-time programmes: In our work, we’re interested in the ripples, not the splash. Whilst it’s nice to know that people had a meaningful time during a programme, it’s the change in behaviour in the longer term that’s important to us. From an impact point of view, a new behaviour that gets repeated is more important than doing something once, no matter how innovative. What we saw with the part-time programmes (in this instance the Flourishing Fellowship) is that the kanohi ki te kanohi (face to face) increased in depth and connection and value of the shared experience. Hosting immersive spaces for groups of people means that it can be hard to talk about these experiences to others who weren’t present. Allowing the cohort to come back together multiple times means that they can look forward to having that sense of a shared experience enough times (in this case three), building the solid foundation for a community that grows well beyond the programme. It also allows people with pre-existing commitments around family, work etc to make the space to be part of such experiences, whereas something more long term and full time is likely to be reserved for those privileged enough to take that time out. A link to our learnings from the 2015 Flourishing Fellowship, please on the image below which will take you to our report. We will be sharing our learnings from our 2016 Flourishing Fellowship programme in the next few months. The invitation: No matter which part of the country–from Kaitaia to Invercargill, Greymouth to Christchurch—we work alongside community from whom we’ve received an explicit invitations. Having someone on the ground is crucial for momentum, buy-in, authenticity, integrity and connections. Whether it’s Kaye-Maree Dunn committing to take Lifehack to Te Tai Tokerau, or the Digital Stock crew hosting us in Invercargill, having strong connections and an invitation from people of place is so ensure that we work alongside, not for. So for the Oro programme, we were invited from one of our 2015 Flourishing Fellows Fran McEwen. More on her amazingness can be read through this blog here. Codesigning all the way: Throughout developing our initiatives, we codesign with those for whom the programmes are intended. We use a design-centric process to do that, including interviews, personas, developing intervention logics and value propositions etc. Checking in with the codesign group matters when it comes to programme shape. In the instance of the upcoming programme this has included people from youth organisations, the community, regional and central government. All of these learnings have gone into developing Oro: a six-week-part-time and place-based community initiative in Upper Hutt, forty minutes drive north of Wellington in the Hutt Valley. It combines the above lessons and turns it into a programme that we’ve never run before. We’ll tell you more about Oro as it unfolds, but safe to say we’re excited to see how it develops. Thanks to our partners to help make this happen: Upper Hutt Community Youth Trust, CAYAD, Upper Hutt City Council, the Namaste Foundation and ACC. If you’d like to take part in the free community weekend (working bee/hackathon) please head here for sign up and more info!